Greetings, loyal readers! It’s Wednesday – WFG Wednesdays. If you’ve read my slice, My Conviction on Conventions, you’ll know that I was a first-time attendee at the World System Builder convention in San Jose this past weekend. If you read on, I’ll share the things that stuck with me, and that has got me fired up! For those that don’t know, the WSB convention was a gathering of like-minded people from all across the country and Canada that are members of and support one of the fastest-growing financial marketing companies in the US. We congregated to discuss new and awesome additions, learned useful strategies on how to further our success, recognized and awarded the best in the business and became inspired to reach our full potential, all with the superb support from our teams. If I had to explain the entire conference in one word, it would be: Energetic. Although at times I barely stayed awake in my seat for hours at a time, due to two hours of bad sleep per night, the positive energy was everywhere. When lining up at 6 a.m. to fight for the front rows, the caffeine-free energy was present. Even though the actual convention started at 8 a.m., and everyone was taking epic selfies, socializing, revving their mental engines and consuming coffee, the energy was increasing. With every speaker, the crowd maintained its energy. Some speakers electrified us with their powerful words, transferring energy from their mouth to our ears, which reached not only our brains, but shocked our hearts. It was a memorable experience. We’re in the business to help people, not just make a profit. We must have a deadly focus to succeed. We must overcome personal and people problems. Utilize the current tools (surveys and flip charts). Follow the system and never give up! Don’t only be hungry, but angry to win! Be a thermostat, not the thermometer. In other words, you change the environment. 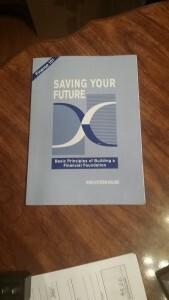 And on that last note, every single attendee received a game-changing book, Saving Your Future. 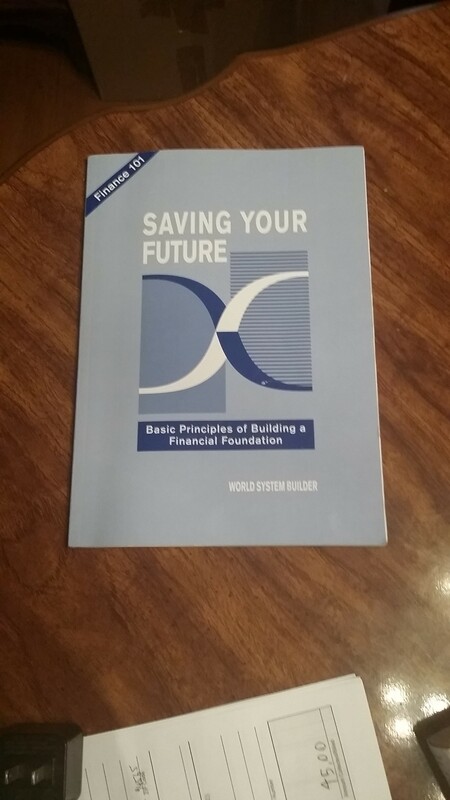 This 86-page book not only has basic financial knowledge, but is very easy to read and can help revolutionize how people invest. From what I heard, this convention was the best thus far. 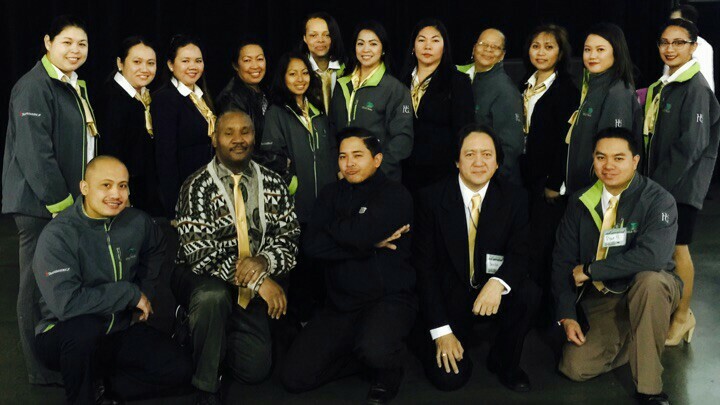 I was definitely glad to be a part of WFG history. Great read!! I agree with you great convention and great motivation. More people need to know. Thanks for commenting! Believe it or not, I’m still fired up!